Caption slip reads: "Photographer: McCarty. Date: 1952-07-30. Reporter: Petty. Assignment: Girl raising birds. 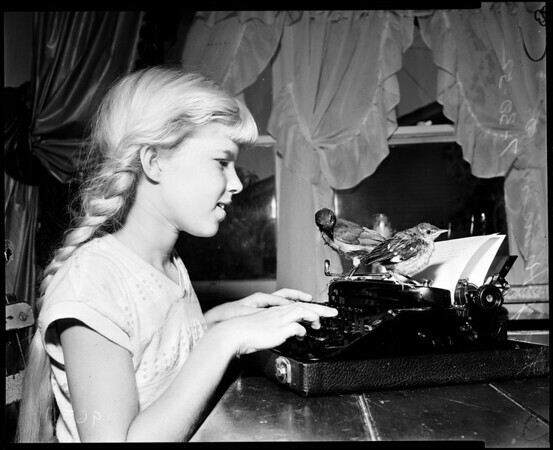 69/70: Bluebird "Oscar" and mocking bird "Butterball" sit on type-writer as Judy Munson, 10, types. 71: Birds sit on her arms... Oscar on left. 72: On her head. Monday".